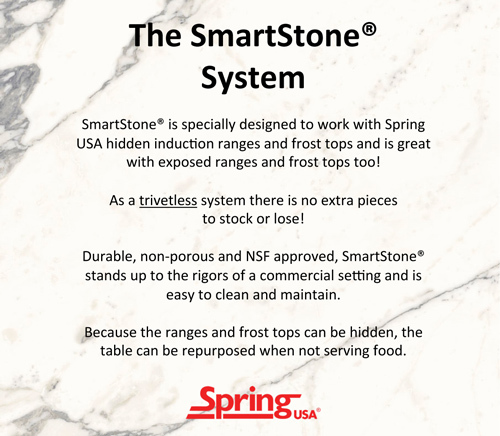 The secret is the practical application of highly efficient induction heating technology under a durable, environmentally effective countertop material. The induction system will only heat devices made for this purpose. Induction heat is a time-tested technology using a radio frequency that heats only ferrous metals. Because only the metal serving piece heats, the response is fast and 93% efficient. The results are spectacular! 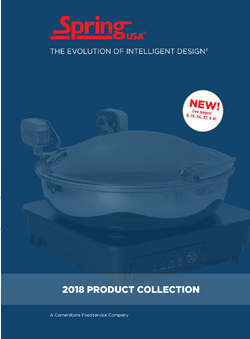 Heat is managed by a uniquely sensitive thermocouple that monitors the temperature of the food serving piece. The temperatures are limited to 4 pre-selected levels, 150, 160, 170 and 180 degrees fahrenheit. 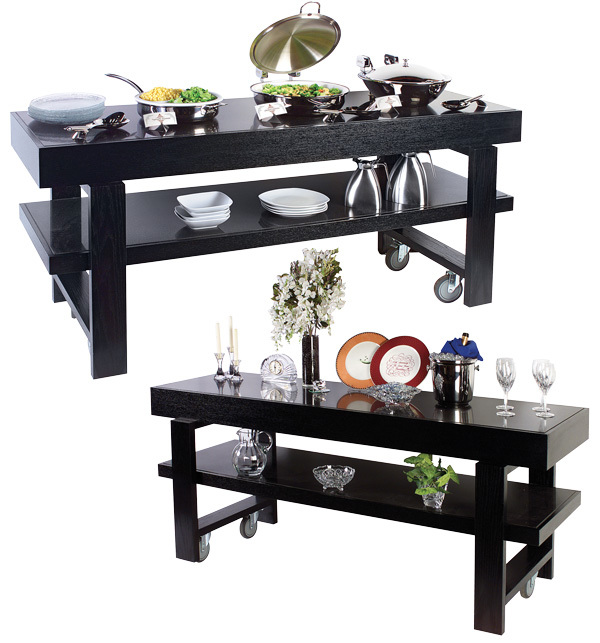 This protects the engineered material, while maintaining the quality of the food items being served. The induction heating units require only 5.4 amps of 120 volt power, allowing installation of 3 units with the use of a single 20 amp circuit. 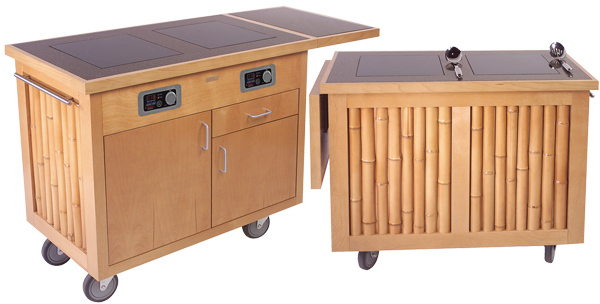 Spring USA Induction Systems are widely used by Hilton, Marriott, Ritz Carlton, Sheraton and Westin brand hotels. Sports stadiums from Boston to Miami, from Chicago to Los Angeles serve thousands of fans with Spring USA induction products. Major Cruiselines: Holland America, Princess and Royal Caribbean, all use safe, efficient Spring USA products. Custom made protective covers are constructed with 1/4″ polythylene foam, sewn between two, 600-denier nylon layers. 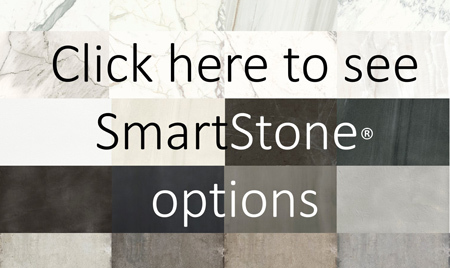 Our custom cover is made to protect your Mobile SmartStone®Induction table or credenza. 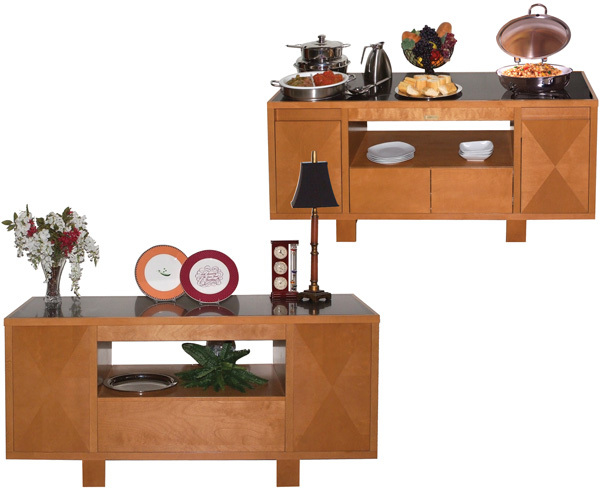 Designed to protect not only the surface, but all sides of your custom piece. The cover is created to fit your specific unit. Our custom cover is sewn with fitted corners so the cover maintains its shape and will not slide off. Drop side walls protect the framework of the table. Sidewall lengths vary per Customer specifications. 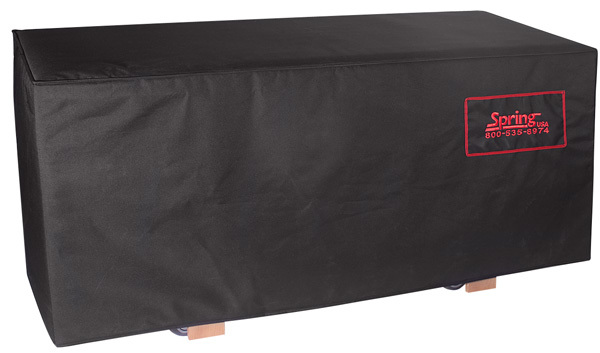 Covers are heavy-duty and can be spot-washed, if needed.